Free Shipping on All Orders Over $100, Worldwide! These are not meant to be heavy/rough use knives. The Kangaroo leather is softer and not as tough as rawhide. I just couldn't resist having Julia work her magic leatherwork on some of my forged bevel bushcraft knives. 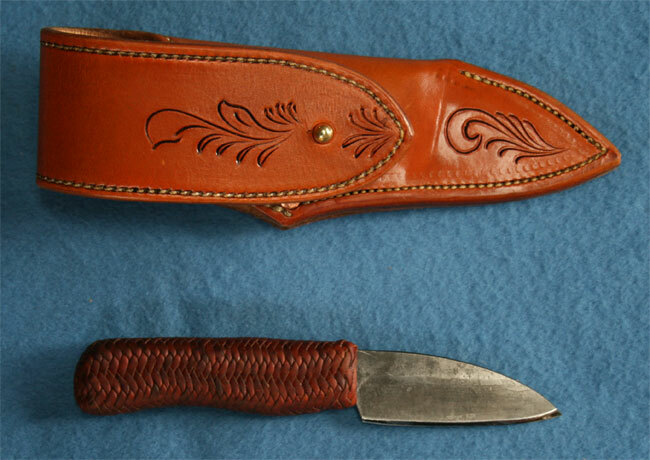 And she does an exceptionally nice job on the sheaths, which have double layers of leather on the insides so that the rivits holding the belt loops are hidden. Although I shy away from touting any of my knives as collectables - I believe these are as close as I'll ever come. A customer of mine in Idaho, Julia McCormck, runs a small leather working business (McCormack Hill Leather). 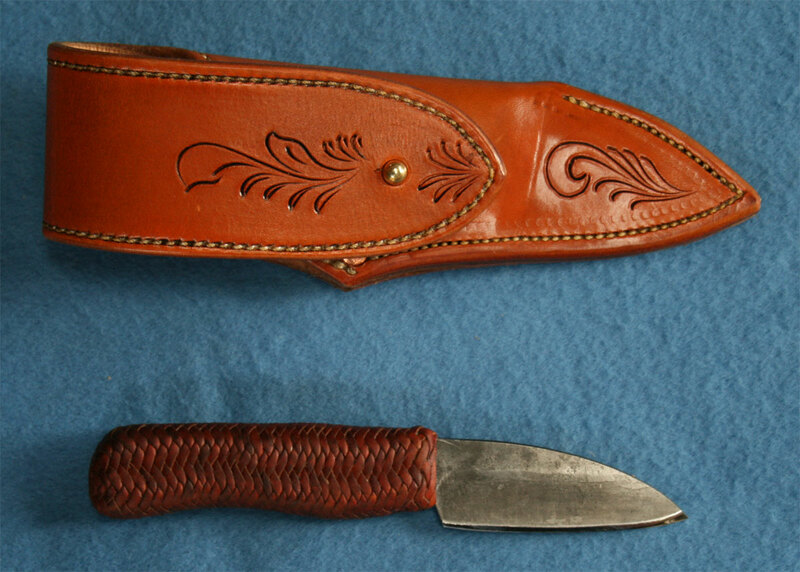 She mentioned to me that she had been looking for a knife that was special enough to braid rawhide onto the handle. I was flattered that she would consider my knives. 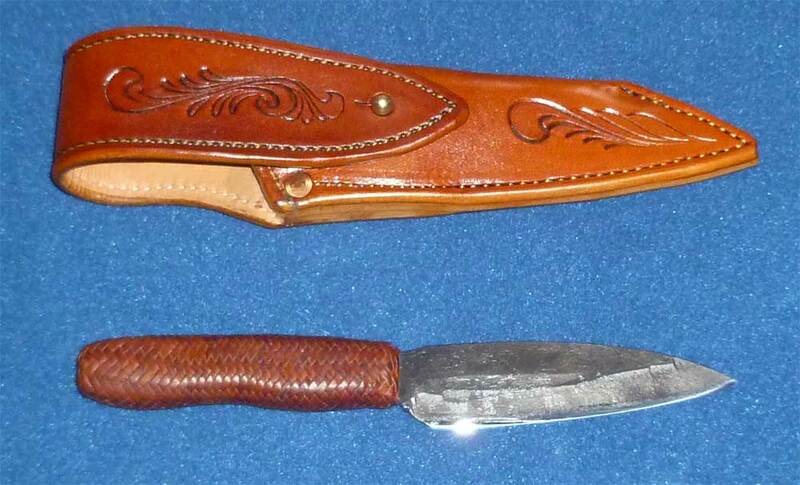 One thing lead to another - Julia also makes all the sheaths for my Bushcraft Knives. My carving knives are intended for serious wood carvers. They are razor sharp and can be very dangerous if used improperly. Please be careful and don't allow young people to use them unsupervised. Your satisfaction is fully guaranteed. If you have a problem of any kind with one of my knives, please let me know. I will make it right with you.